Beautiful and talented this great land of Canada is! Nature at it's finest and musical talent all around us. Let's talk Canada blooms first. While we don't have a national flower, as the Ontario provincial flower and one of the most intriguing flowers in Canada, the Trillium is here and gone each spring just as the trees start to bud. They are a beautiful flower, about the size of child’s palm, and have three or six petals. The colours of a Trillium are dependant on the soil from which it grows and the most common ones seen in Ontario are white petals with a yellow stamen, pink petals with yellow stamen, white and brilliant pink centred petals with pink and/or white stamen, and red, burgundy, or deep fuchsia petals with grey and/or cream stamen. Walking through a forest in early spring, just as the world is transitioning from winter, and seeing the Earthen floor covered in blanket of white is simply breathtaking. Commonly overlooked, the mighty tulip deserves a nod. According to the official website of the Canadian Tulip Festival, it was “established to celebrate the historic Royal gift of tulips from the Dutch to Canadians as a symbol of international friendship while preserving the legacy of the role of the Canadian troops in the liberation of Europe, and the birth of Dutch Princess Margriet in Ottawa during World War II—the only royal personage ever born in Canada.” As one of the world’s largest tulip festivals, Ottawa hosts half a million visitors that come to enjoy the more than 1 million flowers in bloom. Canada hosts it's largest flower show, Canada Blooms, in Toronto each spring! This hour we want to share a prize package that includes our brand new summer issue, our brand new Celebrate Canada stamps we revealed earlier today along with our loonie and toonie for one lucky winner! you can preorder until July 7 here! Fun Fact: Contrary to popular belief, lacross, not hockey, is the national sport! One more? Roughly 30% of Canada's total landmass is occupied by forest. Makes for great photo ops. Well, I haven’t had to miss the trillium’s in Canada as we have then here in Michigan. Adorable stamp set…Love that Moose!!! Love the stamp set, especially the moose. Real maple syrup is absolutely the best. Happy Canada Day! What beautiful flowers! I love these sets of stamps and dies! I would use them to scrap an across the border poutine run! TFS! I am born and raised in Ontaio and have never seen a trillium! I will keep looking each Spring! Beautiful flower, love the bear in the stamp set and the maple leaf. Love the floral themed post. Keep up the good work. Beautiful flowers. Saskatchewan’s provincial flower is the Tiger Lily! There is nothing more Canadian right now than the Canada Stamp and Die set. 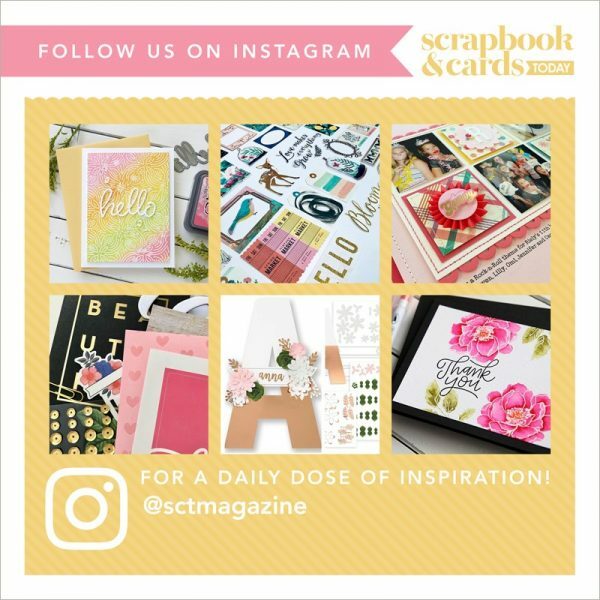 So great for making cards, tags and scrapbooking, to name a few projects this set would work with. Beautiful flowers! Thanks for all the great trivia! Love what you’re doing here today. Lots of great information. Thanks. and I would love to win the new die and stamp set. They look awesome and I did not get my Summer issue yet so I need it. Can’t wait for the mystery. Here in NWO, Northwest Ontario, we have a small nodding trillium that blooms in sprig, easily missed but still beautiful. I remember the first time I saw a large swath of large trilliums while visiting Barrie, inspiring. Waiting for the mystery. Every hour has been very interesting. We have SO many talented musicians that come from Canada. My favourite rendition of Leonard Cohen’s Hallelujah was sung by k.d. lang at the Vancouver Olympics. Love the trilliums in my garden! We are blessed to have so many talented artists in Canada!! What amazing prizes! Love the stamp set and Dies, Love your magazine and love my Country and everything that makes it beautiful and blessed!! Oh Canada we stand on guard for thee!! Love what you are sharing, and the fun facts..who knew!?? Thanks for the day and the opportunity to win! Would love to visit the flower show. Happy Birthday Canada and thank you SCT for hosting today’s celebration and generous prizes. I am really appreciating all the wonderful things I’m reading about Canada in your posts today. Our neighbor to the north is awesome! Oh yeah, Canada’s flowers are amazing. Every time I visit Canada, I make a “Canada Flowers” layout. Thanks for the opportunity to win! Happy Birthday Canada! Bonne Anniversaire au Canada! Love all the colourful flowers and this truly Canadian stamp and die set is awesome. Love it. We have some Canadian that are so talented and to name just one would not be fair. We have talent and we enjoy them. Love trilliums! Thanks for reminding us about our flora. You are just so full f amazing facts about our beloved country today. Thank you. Love trilliums . When we were young, as a family we walked in the woods behind our farm and there were hundreds of trilliums along the path. I wish I had photos of this memory. Love all of those Canadian musicians – Leonard Cohen is a particular favorite! Flowers, music, and your new stamps – I love Canada! I am really enjoying your celebration today! Hooray for Canada 150! Thank you, SCT! I love tulips. Happy Canada Day from Saskatchewan ??! Happy Flower day for Canada’s 150th!!!! Yesterday, on Sirius channel 90’s on 9, they were celebrating American artists. I heard this announcement just after they finished playing ‘Man, I feel like a woman’ by Shania Twain. Newsflash! …but, as a Canadian, I’m too polite to point out their error! Loving all this info about Canada. Can’t wait to visit again! Trilliums have long been my favorite wildflower. We had them in our backyard. Beautiful flowers and you’re absolutely right about the eclectic array of musicians that has come out of Canada. Love each and every one of them! I visited the tulip festival in Ottawa few times. Always enjoyed all the colors and the different kinds of tulips(I made few scrapbook pages with the pictures taken…). Thanks for the chance to win! Love tulips and wild roses! Love the stamp set! Don’t forget Great Big Sea in your list of Canadian musicians! The Trillium looks gorgeous, I have never seen one, so pretty. I love fields of tulips, so gorgeous as well. It would be so cool to be able to visit every province and take a photo of their provincial flower, that would be awesome. Love our provincial flowers! And now that we’ve moved to Alberta I miss Canada Blooms! More fun facts this hour! Would love to win the prize! Crossing my fingers! We love the gardens by the falls. Such fun learning these facts today. Carpets of trilliums in the spring–a breath taking sight! What beautiful flowers we have! And amazing talent. I love the stamp set. I’m really enjoying the posts today. Thanks for them. I love flowers in the springtime, all year long actually but there is something special about the first flowers of spring. I live in Texas and while we don’t anywhere near the winters that Canada does……spotting that first bluebonnet always fills my heart with joy in the spring. Thanks for chance to win..?? Hallelujah is one of my most favorite songs!!!!! Love that you are telling us all of the interesting facts about Canada. You hit on some awesome facts about flowers and music. Lots of trillium here and I grow tons of tulips! I always look for trilliums to know it’s spring. And in Alberta, its the wild rose! Not hockey!? I <3 trillium and tulips. Very cool flower! Love Cohen’s music! We sure are lucky to have so much! I so love flowers! How nice it would be to visit Canada Blooms. Love the great Canada stamps and dies. So nice to see this nice Canada tribute today. We really do have some of the best music! Loved seeing the tulips in British Colombia when I was there for Crop and Create! Just ordered my stamp and die set! Great to celebrate with y’all! So much music, so many special lives. Canada is awesome. I love trilliums. We have them here in WA state too. When we see the 1st ones bloom we go for walks in search of more. I did a layout with photos of Trillium, white and burgundy ones…one of my favourite layouts. The prizes just keep getting better!! My hubby loves Mr Cohen. We got VIP tix to a concert he gave when he visited western Australia, where we live. Happy Canada Day!!! Love the fun facts. Leonard Cohen’s Hallelujah is one of my all time favorite songs eva! It is one that will be played at my funeral whenever that day may come! We are so lucky to have such amazing singers and songwriters! So proud to be Canadian! Thanks for the chance to win some amazing prizes! Canada does have some great musical talent! Thanks for sharing the variety of facts and natural beauty of our country! Loved reading this post – so many wonderful things to celebrate about Canada! Thank you for the facts and the photos. I’ve always been fascinated by the beauty of the trillium, and the photos you posted is breathtaking! So much beauty and talent in Canada! Great prize!! Gotta love our country! Loving this trivia day! Keep them coming! We see trilliums all of the time in NS and many other provincial flowers! So lucky! I love the tulip festival! This year it was so nice to see all the red and white ones! Happy Canada day SCT! The forest where we walk our dog is carpeted with trilliums in the spring. Love the cute stamp set! Love, love trilliums and tulips and????? The list goes on. I only found out about lacrosse being our national sport at a Canada Day gathering I attended yesterday!! So, so proud of our many, many talented musicians!!! Ohhh would I love to win this hour’s prize!! Canada has a lot of great musical talent! Happy 150th bday Canada! Love this hour prize…so Canadian! I would love to win that stamp n die set! Thank you SCT for a fun filled Canada day and the generous prize giveaways! #true north #love Canada# SCT rocks! Beautiful Trillium! Happy 150th Canada! I’m a flower lunatic! haha These are so beautiful. Learned something new did not know the Trillium was Ontario’s prov. flower and the beautiful tulips we have several different varieties in our garden in Spring. Love the stamp and die set as I have taken lots of photos today could certainly use it. A great SCT celebration. Love all the nature and greenery here! I love tulips! They are so fresh and crisp. So many great Canadian items. Some of my favourites. I love th beautiful trillium and enjoy them every year in my mother’s garden. Leonard Cohen and his version of Hallelujah are just breathtaking along with KD Lang and I could listen to it all day long! SCT you are amazing for doing this for Canada ??Day!!! thank you so very much!!!! WHat a fun day this has been thanks for including me! Great! Don’t forget Nickelback and Alberta’s wildrose, two other favourite bands and flowers!! Love all flowers and Canadian music. Adorable stamp set! ?? I had no idea trilliums were so large. I thought they were tiny – like clover. Our flowers and music are absolutely the best out there!!!! Just fabulous!!! Huh, I didn’t know that we didn’t have a national flower. If you had asked me, I would have said that it was the trillium. I learned something today! Canada has so many great flowers and plants. We are so blessed to live in such a great country. Thanks SCT for great stamp and die set. I love Canada! Great stamps! Beautiful pictures of the flowers! A forest floor covered with trilliums is one of the most amazing sights you will ever see! I have a trillium growing in my side yard. An animal must have carried a seed into a container in the front of my yard because I had a trillium sprout in that container this spring. Thanks for all the Canadian information and the chance to win blog candy!!!! The tulips at the Canadian Tulip Festival are a sight to behold. A sea of unbelievably beautiful colours! I always enjoyed the musical acts they had too! So much musical talent in Canada! Some of my favourite and most memorable concerts were of Canadian artists. Actually my first ever ‘big’ concert was Alannah Myles. I would use the stamp and die set to help my young niece when she does her travelling. Decorating Canada style to add that special personalized touch. She would be able to make her own thank you cards, as well as any note card she might need. I love this Canada stamp set! Thank you for a chance to win. The flag of flowers is amazing. Beautiful flora and great music! Canada is awesome! I’ve been a fan of Canadian music my entire life. We are blessed to have some extremely talented musicians in a wide range of genres, some unique to Canada. I encourage everyone to check out some of the regional music from across Canada, there’s definitely something for everyone! Loved your new stamp and die set so much I could wait to see if I would win the draw, and ordered it. Have always wanted to go to Ottawa for the Tulip festival and must add it to my bucket list for next year. We are fortunate to live in such a beautiful country with incredibly diverse talented people. And so polite and happy….. I’m thinking of you Catherine, and your incredible team. Planted the 150 red and white Tulips this year in my garden, hope to have them every year – thank you for the opportunity to win this amazing prize today. So much to love about Canada! Love the stamp set and your magazine. Love the Canadian provincial flowers, especially the trillium flower. Ontario is a great province! Happy Canada Day !!! These hourly posts are a super creative way to honor our fabulous country and learn some fun facts. Thanks for the chance to win this awesome prize package! Love the flowers. I think the flag made from the flowers are amazing. Hallelujah is one of the best songs ever written. Love the stamp set. Beautiful flowers and talented musicians! I think in Canada we appreciate the flowers in the short time we get to enjoy them. Beautiful flowers! What a great prize pack! Yahoo! When I visited Victoria there were so many beautiful parks and gardens and flowers everywhere. Definitely some awesome musicians come from Canada. So cool to have a Canada stamp set with matching dies! I just have to say that curling should be our national sport! Great prizes. Thanks for making this great stamp set. 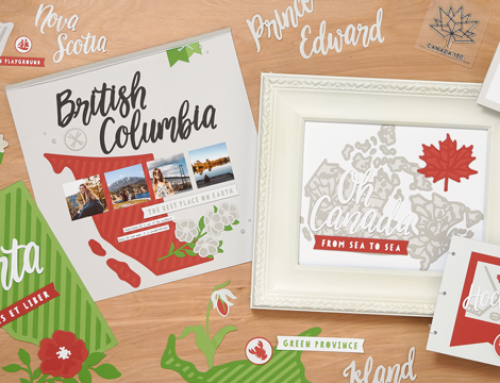 Love, love the special edition Canada stamp set and die. It would be a great way to celebrate with our Canadian friends who have shown us great warmth and hospitality. Canada, you are in my travel plans! Cheers! Absolutely love the stamp/die set and of course the SCT mag! A beautiful photo of the Trillium. Love walks thru the forest in spring when these lovely flowers are in bloom. The list of Canadian musicians is a tribute to Canadian talent but think Gordon Lightfoot should have been mentioned as well for his love of this country and his incredible music contribution. Can’t forgot Stompin’ Tom either, eh? The list just goes on and on. The stamp set is really cool and reflective of all things Canadian. Cutest stamp set ever, perfect for all of my Canada day piuctures past and present. Many, many Canadian treasures! Happy Canada Day! Trillliums are such a petty flower! Love trilliums!! Love Tulips!! Love Canada!! Going home to Canada next week! The Canadian stamp set looks amazing. I have been to Ottawa to see the tulips and they are so beautiful! Lacrosse? Come on… that can’t be true!